McGill University, B.C.L. and LL.B. 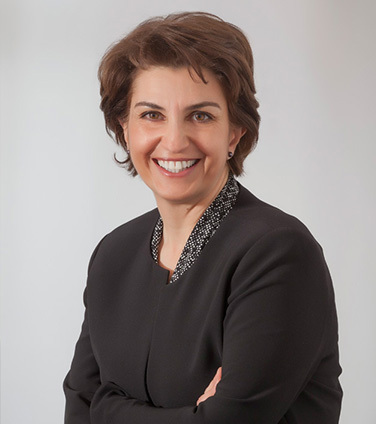 Patricia Kosseim is Counsel in Osler's Privacy and Data Management Group and Co-Leader of Osler’s AccessPrivacy platform, an integrated suite of innovative information solutions, consulting services and thought leadership. Patricia is a national leading expert in privacy and access law, having served over a decade as Senior General Counsel and Director General at the Oﬃce of the Privacy Commissioner of Canada (OPC). She provided strategic legal and policy advice on complex and emerging privacy issues; advised Parliament on privacy implications of legislative bills; led research initiatives on new information technologies and advanced privacy law in major litigation cases before the courts, including the Supreme Court of Canada. Prior to that, Patricia worked at Genome Canada and the Canadian Institutes of Health Research, where she developed and led national strategies for addressing legal, ethical and social implications of health research and genomic technologies. Patricia started the first six years of her career in Montreal practicing in the areas of health law, civil litigation, and labor & employment with another leading national law ﬁrm. Patricia has published and spoken extensively on matters of privacy law, health law and ethics. She has taught part-time at the University of Ottawa, Faculty of Law and has held many professional appointments and board memberships, including: Governor on the Board of Governors of The Ottawa Hospital; Chair of the Board of Directors of the Ottawa Hospital Research Institute; Vice-Chair of the Research Integrity Committee of les Fonds de recherche du Québec; and member of the National DNA Databank Advisory Committee. The Best Lawyers in Canada, 2019: Privacy and Data Security Law. Member, Orion Human Research Accreditation Inc. (Orion HRA), Accreditation Advisory Panel, July 2018 – present. Governor, The Ottawa Hospital Board of Governors, June 2013 – present. Member, Research Integrity Committee, Fonds de recherche du Québec, June 2015 – June 2018. P. KOSSEIM, E. DOVE, C. BAGGALEY, E.M. MESLIN, F.H. CATE, J. KAYE, B.M. KNOPPERS, “Building a Data Sharing Model for Global Genomics Research: Lessons Drawn from the Commercial Context”, Genome Biology 15:430 (August 11, 2014). P. KOSSEIM AND DARA JOSPE, “Banking for the Future: Consent, Confidentiality and Governance Issues in Biobank Research”, in Intimidad, confidencialidad y proteccion de datos de salud, Aportaciones del IV Seminario Internacional sobre la Declaration Universal sobre Bioetica y Derechos Huamnos de la UNESCO (Pamplona: Thomson Reuters (Legal) Ltd, 2011), 137-154. P. KOSSEIM, “The Landscape of Rules Governing Access to Personal Information for Health Research: A View from Afar”, in T. Caulfield, T.M. Bailey, B.F. Windwick, ed., Health Law in the 21st Century, (2003) Health Law Journal – Special Edition 113. L. LECLERC AND P. KOSSEIM, "Les politiques antitabac et les droits de direction d'un employeur", in Développements récents en droit du travail (1995), (Les Éditions Yvon Blais Inc.: Cowansville, 1995) 201-24. Genomic Privacy on the Rock and Lessons for the Mainland, Address. We Are Connected: Access, Privacy, Security and Information Management Conference, St. John’s, NL, November 29, 2016. The Future of Technology and Data Governance, panelist at the 38th International Conference of Data Protection and Privacy Commissioners Conference, side-event sponsored by the International Accountability Foundation and Future of Privacy Forum, Marrakesh, Morocco, October 17-20, 2016. “A New Era at the OPC: Some Early Insights into the Strategic Orientations of the Office”, Remarks at the Lexpert Information, Privacy and Data Protection Conference, Toronto, ON, November 27, 2014. "An Overview of Recent Privacy Law Cases in Canada: Observations and Trends", Canadian Access and Privacy Association (CAPA), Conference 2013, Ottawa, ON, December 2, 2013. Data at the Tipping Point: Managing and Mitigating the Risk of Re-Identification”, Federated Press, Ottawa, 6th Electronic Documents and Records Management Course, Ottawa, ON, January 25, 2011. “The Oops Factor: Managing the “Before, During and After” of a Privacy Breach”, Health Canada Privacy Day, Ottawa, ON, November 4, 2010. Genetic Research and Access to Information Law – Defining the Scope of the Public/Private Interest, Privacy and Access to Genetic Research Data Workshop organized by the Centre for Innovation, Law and Policy, Faculty of Law, University of Toronto, ON, March 13, 2009. “Protecting Genetic Information in Health Research: A Canadian Approach”, Data Protection and Biomedical Research: Finding the Balance, Seminar series devoted to sharing experiences of Pluri-national and Federal States, Barcelona, Spain, April 25, 2007. “Ethics in Science”, National Research Forum for Young Investigators in Circulatory and Respiratory Health, Winnipeg, MB, May 6-9, 2004. “Ethical Framework for Paediatric Research”, Annual Meeting of the Canadian Paediatric Society, Ottawa, ON, April 27-28, 2001. “Managing Privacy Issues in Health Care Research”, The Canadian Association for Population Therapeutics (CAPT) Conference, Optimal Therapeutics Through Evaluation, Policy & Practice, Banff, AB, April 1-3, 2001. “At the Crossroads: Ethics, Politics and the Law”, Canadian Bioethics Society (CBS) 12th Annual Conference on Medicine, Technology and Humanism: An Alliance Against Nature? Québec, QC, October 21, 2000.